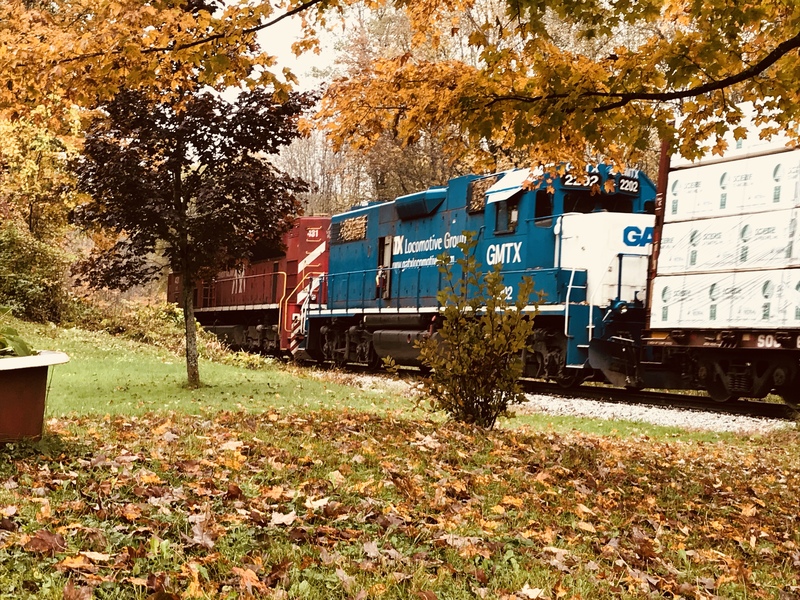 Vermont Railway train crossing Old Turnpike Rd in Cuttingsville VT amid near-peak fall foliage. Note the leaves plastered on the second unit and the fire extinguisher on the open door, suppose this is a recurring problem? Photographed by Robert Zimmermann, October 8, 2018. Added to the photo archive by Robert Zimmermann, October 9, 2018.